Please call 631 205 1299 to order using your credit card during our normal business hours of 9AM-4:30PM E.S.T. New Jersey and Illinois: ( No shipments to Chicago ) must have state issued FOID identification cards. Conn. residents must supply copy of Ammo card or pistol permit. New York: Sorry, due to the NY Safe Act, no mail order ammo shipments to residents, but you may come to our showroom to pick up your ammo. 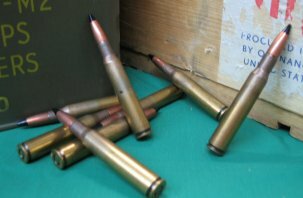 California: No sales of ammunition delivered to the counties of Contra Costa, Marin, and San Francisco. No ammunition delivered to the Cities of Carson, Los Angeles, Oakland, Sacramento, San Francisco and Sunnyvale. Check for other Local & State laws before ordering…..or anywhere else that is prohibited by law. Know your local laws BEFORE RESERVING or ORDERING any ammunition. You need to send by fax 631 205 0353 and copy of your photo I.D. and statement ( cut and paste ) as listed below to us….or better yet, you can take a picture of your ID with your phone or scanner and send it to our email address orionrigel@yahoo. How To Order…Please call 631 205 1299 during our normal business hours of 9AM till 4:30 PM E.S.T. We do not have a shopping cart at this time set up to take ammunition orders.